Dose [April 25, 2013] collect personal information about me? We may ask you for and collect personal information, such as your name ,email address, postal address, phone number, and possibly credit card information ,when you Order product on our website, or by phone. If you buy from us, we may also keep records of your purchases so that you can track your orders and so that we can serve you better in responding to your customer service request. What dose [April 25, 2013] do with my personal information? We may use your personal information and information about your product interests to send you email about products and promotions or to ask you question about your preferences. If you do not want us to send you these emails, contact us. Dose [April 25, 2013] share my information? A cookie tells us about your computer and lets our computers remember what you are currently doing or did in the past at our site. For example a cookie lets us track your shopping cart while you are on our web site. Cookies also help us understand how people use our web site. They help us know which section of the site is most popular and how people look for information on our web site. We use this information to improve our web site and to serve you better. Unless otherwise specified, the entire content included on this site, including the text, site design, logos, graphics, icons, and images, as well as the selection, assembly and arrangement thereof, are the sole property of Essential oils Canada., Copyright © 2013, ALL RIGHTS RESERVED. You may use the content of site only for the purpose of purchasing Essential oils Canada products or placing an order with Essential oils Canada and for no other purpose. No continents from this site may be copied, reproduced, modified, republished, uploaded, posted, transmitted, or distributed in any form or by any means is strictly prohibited, unless authorized by Essential oils Canada. This site and the materials and products on this site are provided “as is” and without warranties of any kind, whether express or implied. To the fullest extent permissible pursuant to applicable law, Essential oils Canada disclaims all warranties, express or implied, including, but not limited to, implied warranties of merchantability and fitness for a particular purpose and non-infringement. Essential oils Canada does not represent or warrant that the functions contained in the site will be uninterrupted or error-free, that the defects will be corrected, or that this site or the server that makes the site available are free of viruses or other harmful components. Essential oils Canada does not make any warrantees or representations regarding the use of the materials in this site in terms of their correctness, accuracy, adequacy, usefulness, timeliness, reliability or otherwise. Some states do not permit limitations or exclusions on warranties, so the above limitations may not apply to you. Essential oils Canada shall not be liable for any special or consequential damages that result from the use of, or the inability to use, the materials on this site or the performance of the products, even if Essential oils Canada has been advised of the possibility of such damages. Applicable law may not allow the limitation of exclusion of liability or incidental or consequential damages, so the above limitation or exclusion may not apply to you. These terms and conditions are applicable to you upon your accessing the site and/or completing the registration or shopping process. These terms and conditions, or any part of them, may be terminated by Essential oils Canada without notice at any time, for any reason. The provisions relating to Copyrights, Trademark, Disclaimer, Limitation of Liability, Indemnification and Miscellaneous, shall survive any termination. 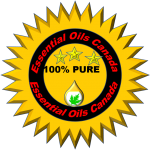 Essential oils Canada may deliver notice to you by means of e-mail, a general notice on the site, or by other reliable method to the address you have provided to Essential oils Canada. You agree to indemnify, defend, and hold harmless Essential oils Canada, its directors, employees, agents, licensors and suppliers (collectively the “Service Providers”) from and against all losses, expenses, damages and costs, including reasonable attorneys’ fees, resulting from any violation of these terms and conditions or any activity related to your account (including negligent or wrongful conduct) by you or any other person accessing the site using your Internet account. In an attempt to provide increased value to our visitors, Essential oils Canada may link to sites operated by third parties. However, even if the third party is affiliated with Essential oils Canada, Essential oils Canada has no control over these linked sites, all of which have separate privacy and data collection practices, independent of Essential oils Canada. These linked sites are only for your convenience and therefore you access them at your own risk. Nonetheless, Essential oils Canada seeks to protect the integrity of its web site and the links placed upon it and therefore requests any feedback on not only its own site, but for sites it links to as well (including if a specific link does not work). In the event a product is mistakenly listed at an incorrect price, we reserve the right to refuse or cancel any orders placed for product listed at the incorrect price. Essential oils Canada reserves the right to refuse or cancel any such orders whether or not the order has been confirmed and your credit card charged. If your credit card has already been charged for the purchase and your order is cancelled Essential Oils Canada shall issue a credit to your credit card account in the amount of the incorrect price. Your use of this site shall be governed in all respects by the laws of the province of Ontario, Canada, without regard to choice of law provisions, and not by the 1980 U.N. Convention on contracts for the international sale of goods. You agree that jurisdiction over and venue in any legal proceeding directly or indirectly arising out of or relating to this site (including but not limited to the purchase of Essential oils Canada. products) shall be in the provincial or federal courts located in Ontario, Canada. Any cause of action or claim you may have with respect to the site (including but not limited to the purchase of Essential oils Canada products) must be commenced within one (1) year after the claim or cause of action arises. Essential oils Canada’s failure to insist upon or enforce strict performance of any provision of these terms and conditions shall not be construed as a waiver of any provision or right. Neither the course of conduct between the parties nor trade practice shall act to modify any of these terms and conditions. Essential oils Canada. may assign its rights and duties under this Agreement to any party at any time without notice to you. Shipping — Most orders will ship the next business day, provided the product ordered is in stock. Orders are not processed or shipped on Saturday or Sunday, except by prior arrangement. Returns are easy! If you are not completely satisfied with your purchase for any reason, it can be returned to Essential oils Canada within 15 days of receipt for a refund or exchange. Simply e-mail us at info@essentialoilscanada.ca. We would appreciate it if you could provide a brief note outlining the reason for the return although not necessary. This helps us to better understand our customers’ needs and assists us in developing better products. If you are returning an item because of an error resulting in the shipment of incorrect product to you on our part we will be happy to refund all delivery charges incurred. A) The customer is responsible for shipping charges by the carrier for returning the order or selected items from the order. B) If the cost of the product being returned is less than the return shipping charges that is subjected to us then no refund will be made. C) If the customer takes responsibility of return shipping charges than the full amount of the returned product(s) will be refunded. A) The customer is responsible for original shipping and return shipping charges by the carrier for refused or non-delivered order. B) Original shipping and return shipping charges will not be refunded if the product being returned reduces the subtotal amount to less than $125. C) The customer is responsible for shipping charges by the carrier when returning selected, or few, items from the order. D) If the cost of the product being returned is less than the return shipping charges that is subjected to us then no refund will be made. To return an item, please enclose a brief note outlining the reason for the return, wrap the package securely and post it to us. You will need to include your packing slip if the return is due to an error on our part. Please ensure that your return goods are packaged safely, since we are unable to offer refunds on returns that have been damaged in any way during transit. We cannot accept liability for packages lost or damaged during transit, therefore you are advised to send your package by recorded delivery, registered post or courier. Proof of postage is not proof of delivery. Refunds and credits for returned items will be issued only for the amount of material returned in its original packaging. We are unable to accept returns on materials that have been mixed or blended together with other ingredients or any opened, partially used essential oils. • All payments will be taken before an order is packed and shipped.